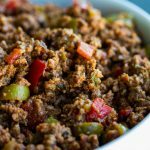 A delicious easy ground beef recipe, that uses Puerto Rican sofrito as its base seasoning and can be used as a filling for pastelillos and alcapurria. 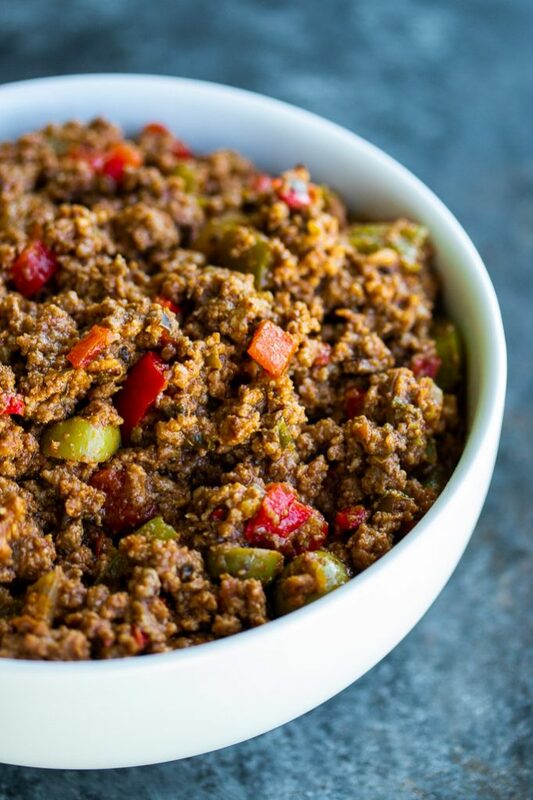 This quick picadillo recipe is an absolute must try dinner for those busy weeknights! 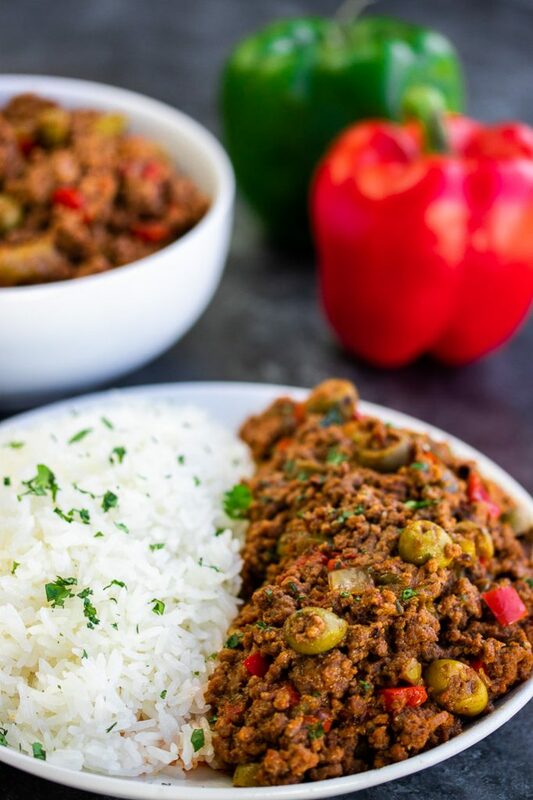 Picadillo is a traditional Latin American dish that is made using ground beef. However, ground turkey may be used instead if you are trying to stay away from the beef. Ingredients vary from different parts of the Caribbean Islands. For example, Puerto Rico picadillo uses sofrito (recaíto) and Cuban picadillo usually has potatoes and raisins. 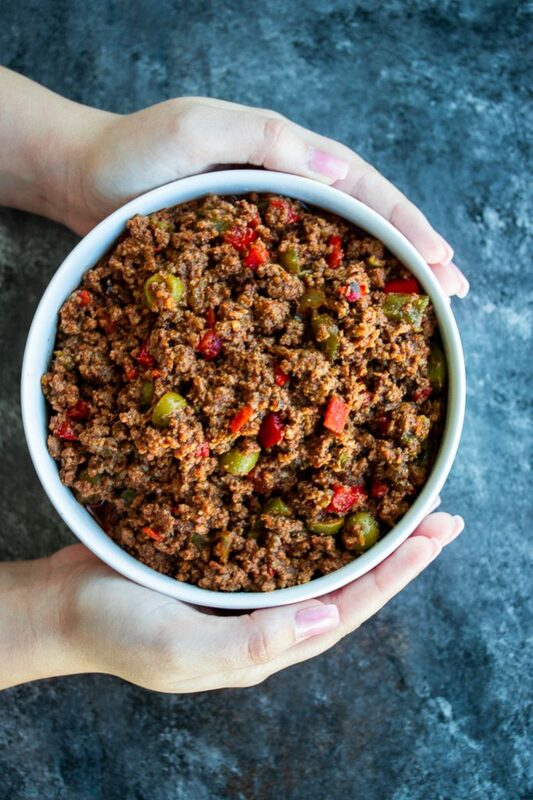 One thing that is consistent with all variations of picadillo, is that it includes the amazing bell peppers and tomato sauce! This dinner meal is very similar to the dish “hash” in the United States and around the world. The picadillo meat is used in various Puerto Rican recipes. 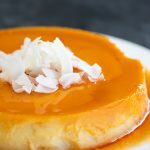 Traditional recipes include alcapurrias (a popular fried finger food using masa dough and picadillo as a filling), pastelillos de carne (meat turnovers using a flaky dough surrounding the picadillo meat), and many other island recipes. This ground beef recipe is multi-purpose and is perfect alone or used as a filling in another recipe. Puerto Rican Sofrito (recaíto) is used in this recipe and is, in my opinion, the seasoning that makes this meal absolutely amazing. I stress so much that homemade sofrito (recaíto) is a staple in the kitchen and making it doesn’t take much effort. We have an amazing sofrito (recaíto) recipe that you may use if you need any help making it at home. Once you start making your own sofrito with fresh ingredients, you won’t ever buy the store-bought brand. They’re various recipes that include garlic, culantro, and oregano. However, you will be overdoing the said ingredients if you are using homemade sofrito. These are various tips on perfecting this Puerto Rican ground beef recipe. Our recipe ingredients call for a green and red bell pepper. However, you may use any colored bell pepper. Your preference on how sweet you like your peppers will determine which one to use. Also, we use more than usual tomato sauce in our recipe. Traditionally it is made with less tomato sauce if you are using this ground beef as a filling. You can reduce the sauce moisture as you cook the meat while keeping the pan uncovered. This can be stored in the refrigerator at most 3-4 days and 2-6 months frozen. 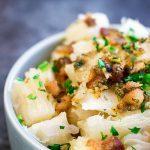 This dish is simply easy and flavorful no matter what occasion! Start by adding the olive oil inside a medium sized pan over medium to high heat. Sauté the sofrito for two to three minutes. After your sofrito is slightly brown, turn down the heat to low-medium, and add in the yellow onion with the bell pepper chopped mix. Stir occasionally for two to three minutes. Thereafter, pour in your tomato sauce, sliced olives, and add your ground beef. Stir the picadillo until it is evenly mixed and bring heat to medium. Cover pan to hold in moisture and to cook the beef faster. Uncover pan occasionally to stir the picadillo. Once the beef is browned and well done, you may lower heat to reach your desired sauce consistency. However, the picadillo should not be runny. Serve with white rice, salt for taste, and use chopped cilantro as garnish. Ground turkey may be used instead of ground beef. Homemade sofrito (recaíto) is always better than the store-bought kind. 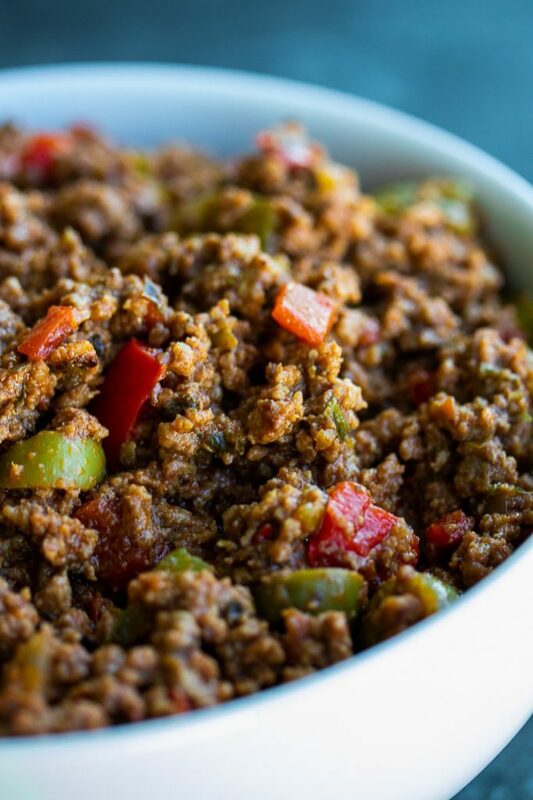 You will get a more fresh flavored picadillo using homemade sofrito (recaíto). Tostones and platanos maduro make a great side to this dish. 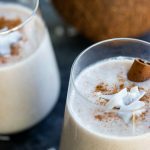 This is the recipe I use for making my Pastlillos.My husband was born in Las Arenas Arecibo.My family comes from Palermo Sicily.We just finished making our Christmas Coquito. I like your recipes . I love it! 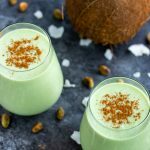 I think you should add that it could be served with plantains or tostones! Thanks! Tostones are amazing sides. I will add that to the recipe notes. could I use store bought sofrito? Like the jar one from goya ? or would I need to combine sofrito and recaito? Yes, you may use the Goya brand recaíto and you do not have to combine both. For fresh & homemade, here is our recaíto recipe.